Direct access to the Choptank River – easy in, easy out! Walking distance to shopping, restaurants, and more. A CYC member who refers a new lip holder for a one year lease will recieve a $200 discount on his slip rental for that year. Click here for a map of the Cambridge Yacht Club / Cambridge Municipal Marina complex. 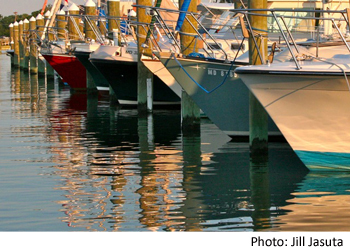 Cambridge Yacht Club welcomes cruisers and visitors to the Cambridge Area. Click here for more information about transient slips and nearby attractions.